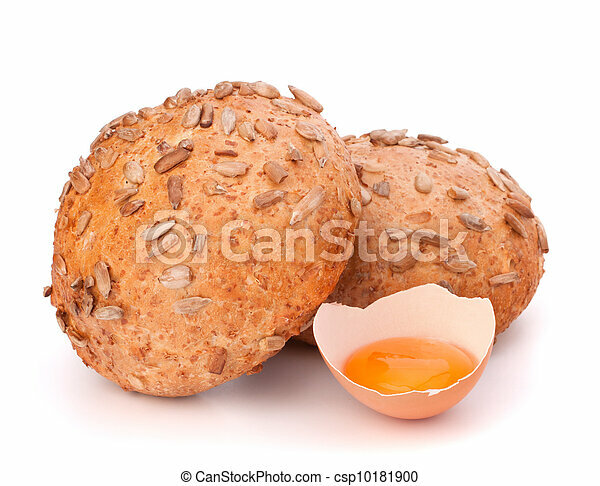 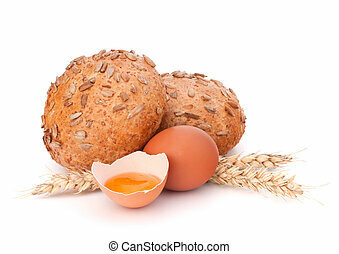 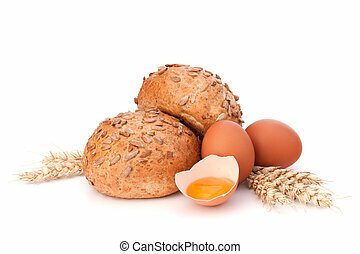 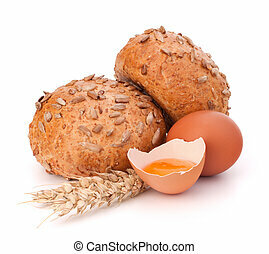 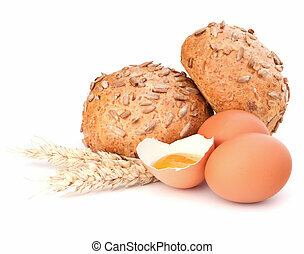 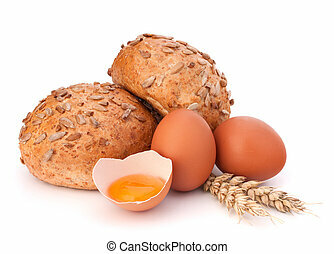 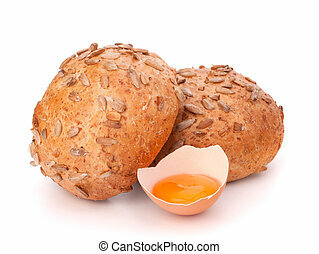 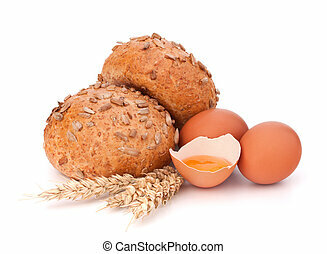 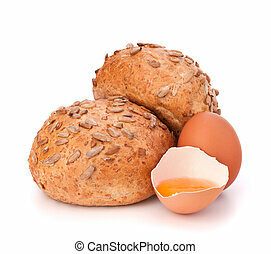 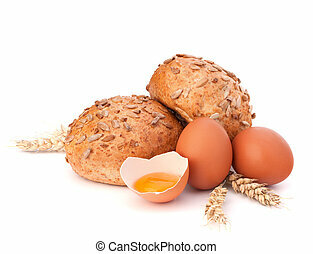 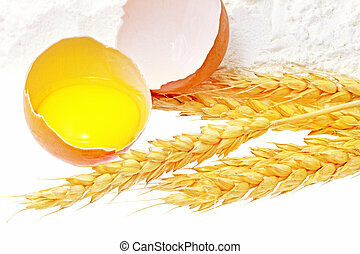 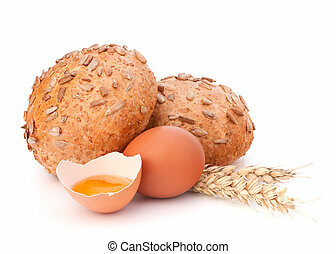 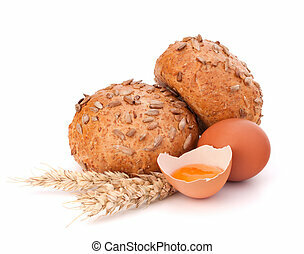 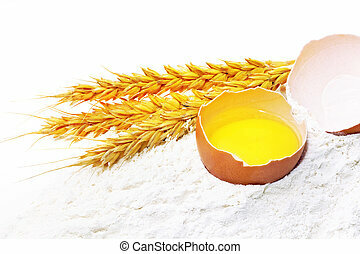 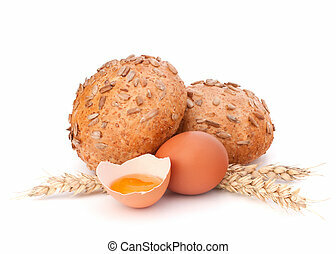 Bun with seeds and broken egg isolated on white background. 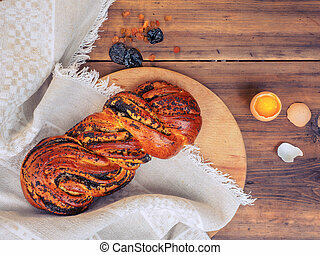 Twisted loaf with poppy seeds and chicken egg with yolk and broken shells on a background of rough cloth and old table from the boards. 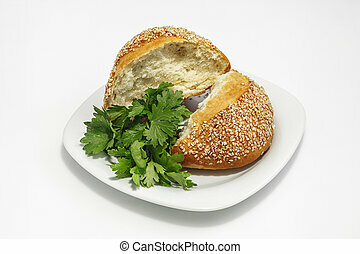 Raisins and prunes, sweet bun. 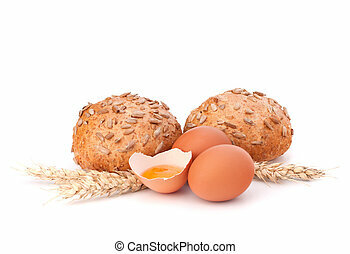 Still life in rustic style. 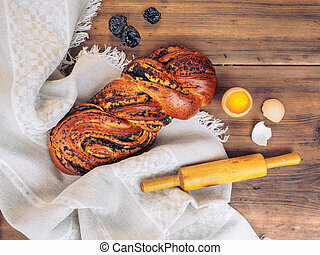 Twisted loaf with poppy seeds and chicken egg with yolk and broken shells, wooden rolling pin on a background of rough cloth and old table from the boards. 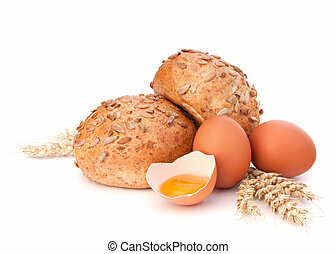 Still life in rustic style. 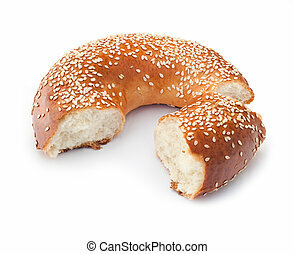 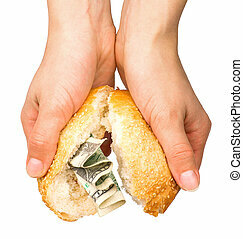 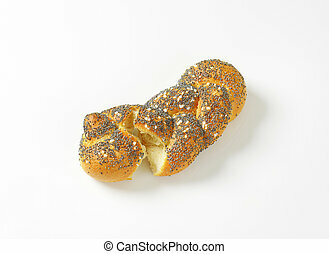 Broken-down bagel, isolated on white, with sesame seeds. 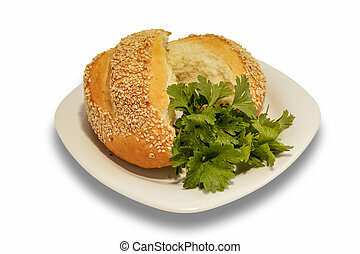 High angle view of a sesame dinner rolls broken in half and buttered. 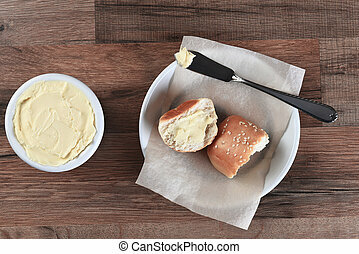 Next to the bread plate is a crock of butter with knife. 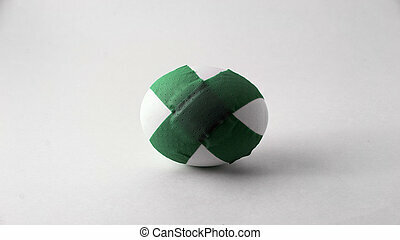 A single egg with green bandage. 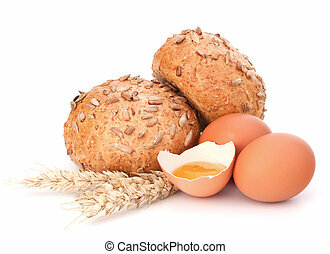 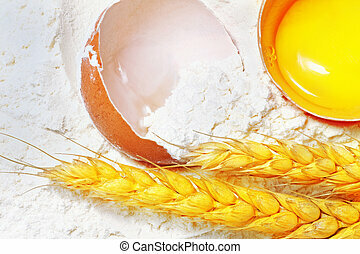 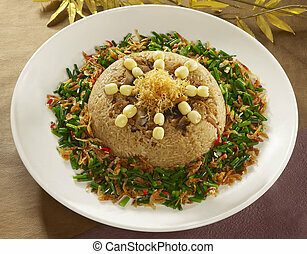 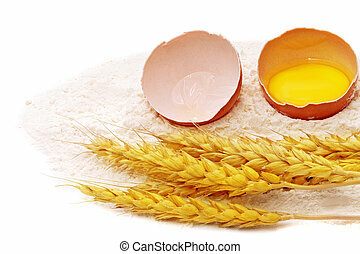 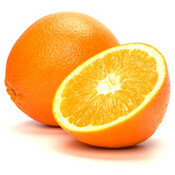 This relates to fertility and reproductive health as well as eating healthy. 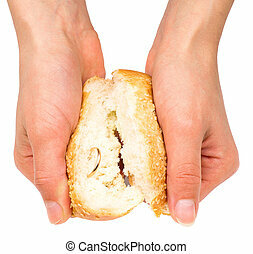 The bandage can symbolize problems with both dieting and within reproduction.